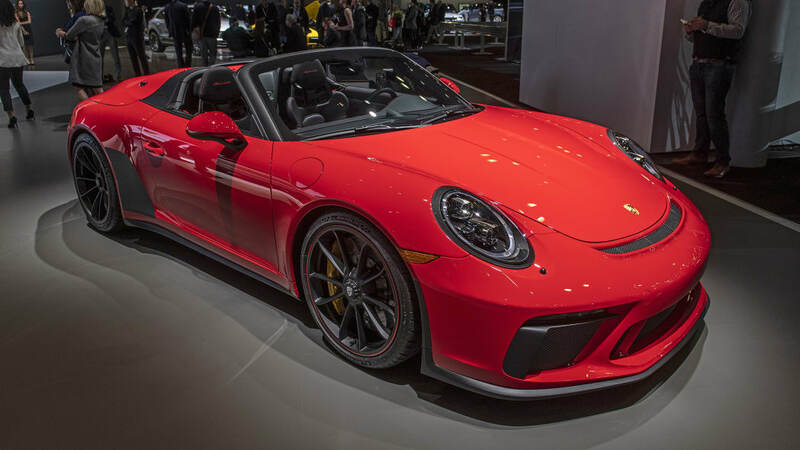 Porsche has gotten our attention right off the bat at the 2019 New York Auto Show by bringing the 911 Speedster for its North American debut. It won't be plentiful, limited to just 1,948 units worldwide. It won't be cheap, either. 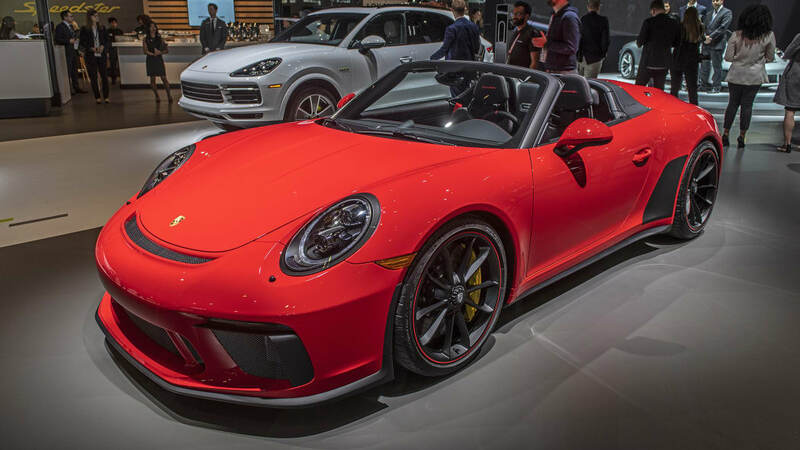 The 2019 Porsche 911 Speedster will cost $275,750, which includes the delivery fee of $1,250. 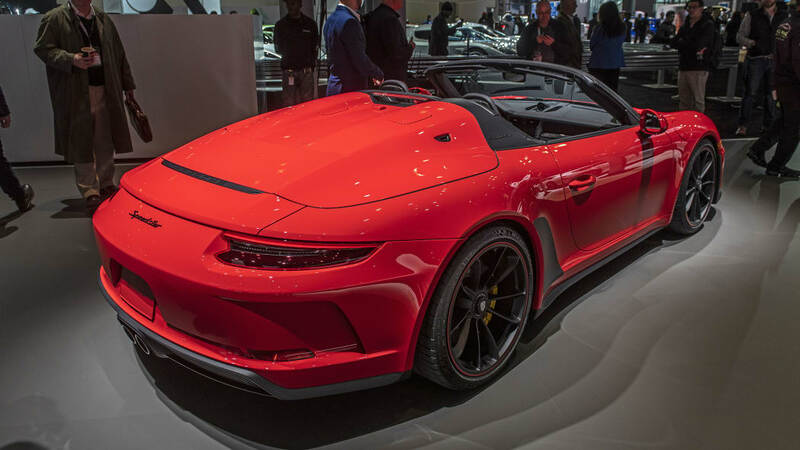 The 911 Speedster borrows its naturally-aspirated 4.0 liter flat-six engine from the 911 GT3 and 911 GT3 RS. 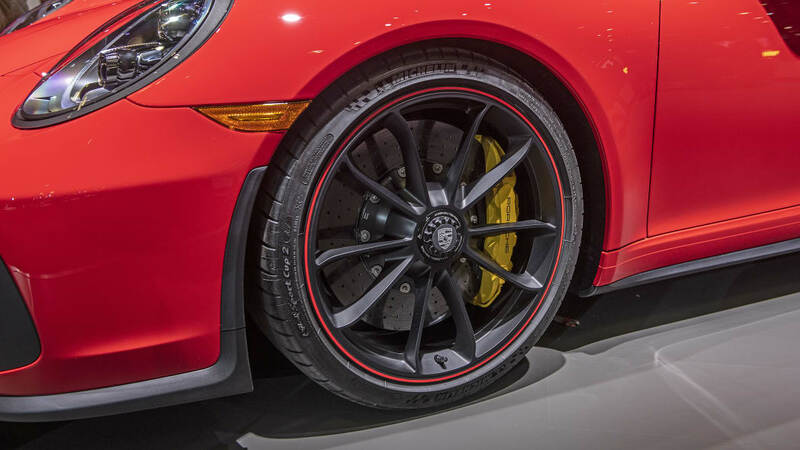 That produces 502 horsepower and 346 pound-feet of torque, with a pulse-elevating 9,000-rpm redline. 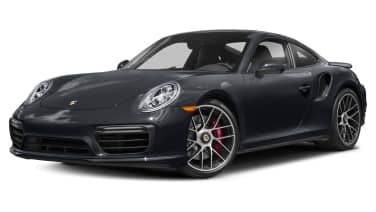 It gets individual throttle bodies for improved response, and is mated to a GT Sport six-speed manual transmission. 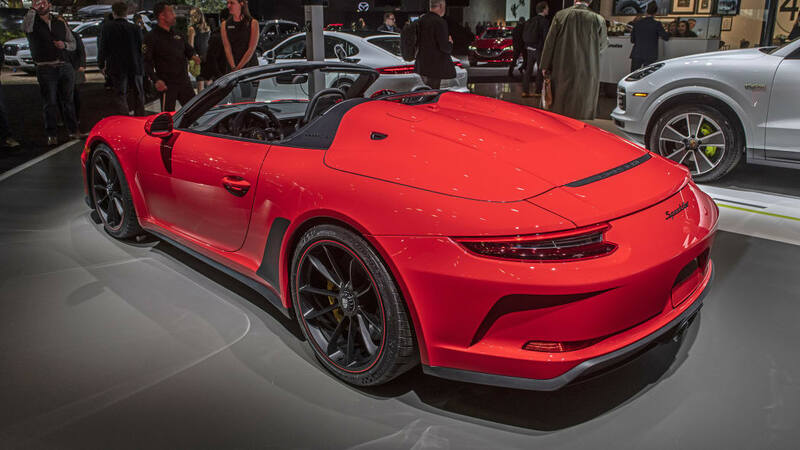 It'll do 0-60 miles per hour in just 3.8 seconds, before continuing to a top speed of 192 miles per hour. How badly do you want to feel 192 mph in the open air? 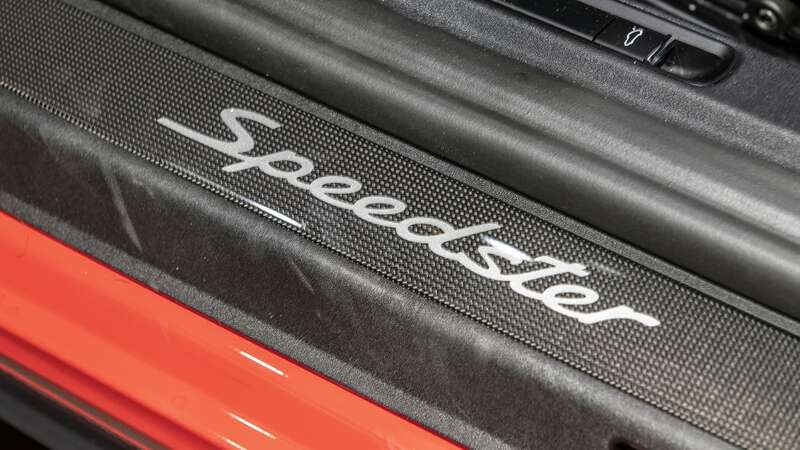 Speaking of which, the 911 Speedster comes equipped with a manually operated lightweight fabric top. We won't image it'll see much time in the closed position, though. 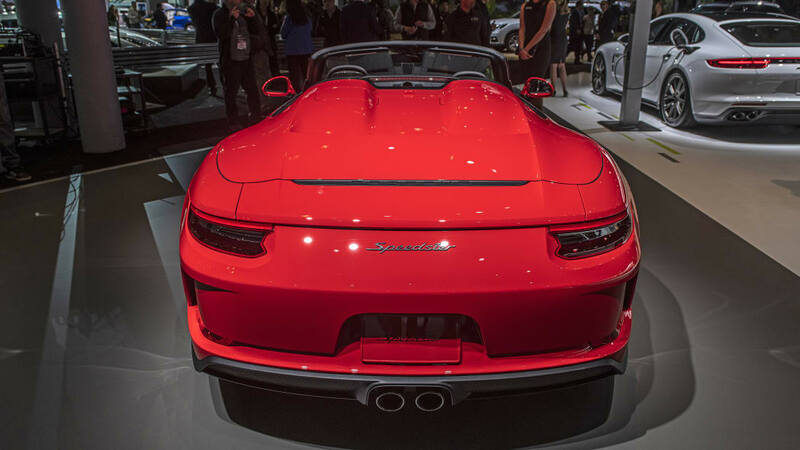 Behind the cockpit are the two signature streamliner bulges, making the Speedster instantly recognizable. 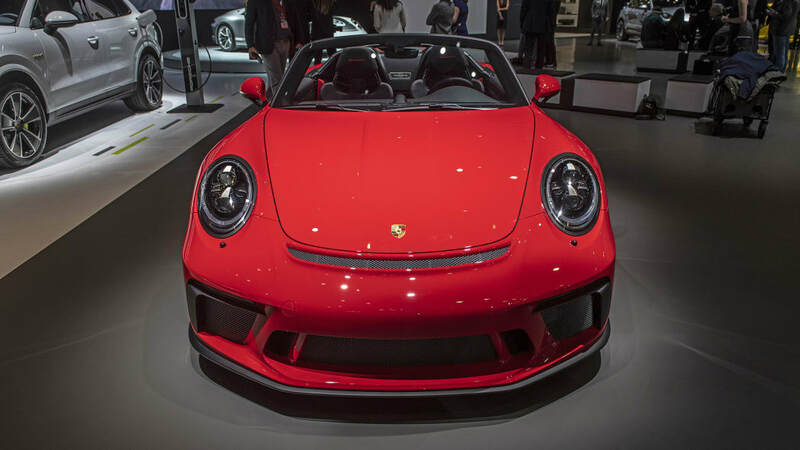 The weight reductions continue inside the car, with lightweight door panels with storage nets and woven door pulls. 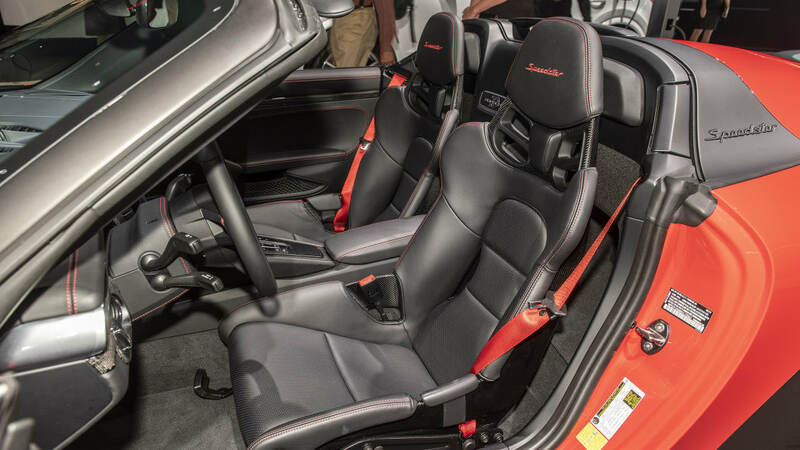 The car makes extensive use of carbon fiber, as well. 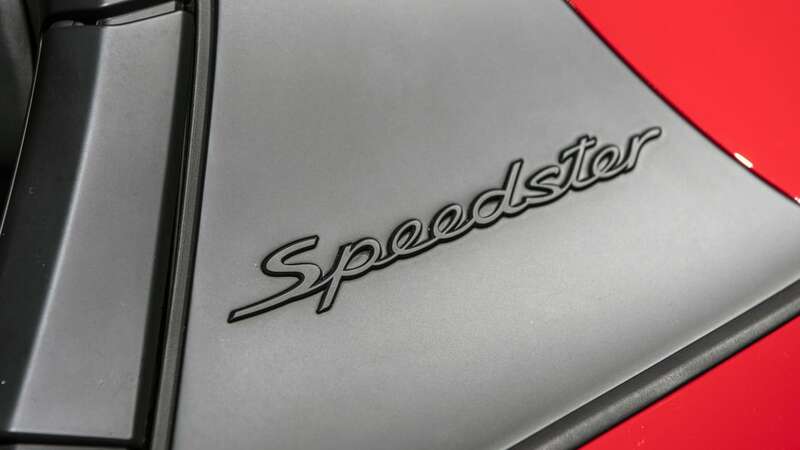 If you're lucky enough to own one of these Speedsters, you can also get an exclusive Porsche Design 911 Speedster Chronograph watch. 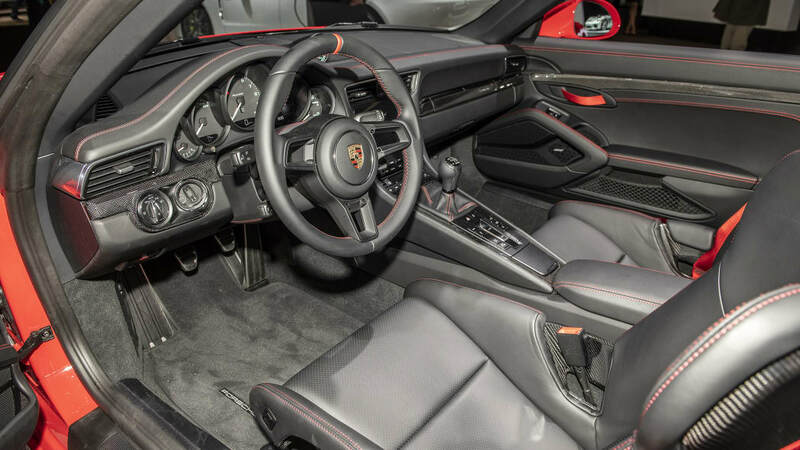 It features a carbon fiber dial, a rotor modeled after the Speedster's center lock wheel, and a strap made of Porsche interior leather.